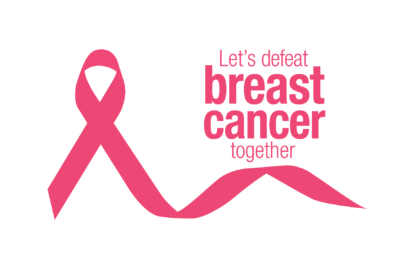 Breast cancer is one of the most common cancers in the women both in the developed and developing countries. The incidence of breast cancer is increasing rapidly due to certain reasons such as increased urbanization, adoption of western or modern life style and increase life expectancy, however the risk can be reduced with the help of prevention but elimination of these factors can’t reduce the risk of breast cancer in the population with low and middle income countries where women are diagnosed with breast cancer at late stage. Early diagnosis for improving breast cancer outcome and survival remains the foundation stone of breast cancer control. In the middle and low income countries the strategy for early detection is the awareness of warning signs and symptoms of the breast cancer so that women can notice them as they take place. Women are also advised to go for clinical examination so that the anomalies can be noticed by the health experts in time and treatment can be started as well. Significance of Early Detection As mentioned above early detection is of utmost importance to cure the cancer completely so every possible mean should be utilized to make early detection probable. Breast screening is expensive so it is not easy to afford so for this reason it is advised to the women in developed countries with good health infrastructure where it is easy for them to continue a long term program of screening. Screening is one of the most effective methods to catch cancer at initial stage when it is easily manageable and can be treated easily by using a number of treatment options. Self breast exam is recommended to the women of all ages for being in touch with breasts on regular basis as women breasts are likely to develop the changes over the time due to certain reasons like breasts change due to higher level of estrogen before the periods is natural, but it is also possible for breasts to develop some unusual changes as well that may lead to the breast cancer development. What Does Comprehensive Cancer Control Involve? Comprehensive cancer control involves the knowledge of early detection, prevention strategies, detection and treatment, rehabilitation etc. If a woman is aware of all these things she can take better care of her breasts and she can reduce the risk of death with this most dreadful disease of the women world as woman herself can do it in a well manner. Breast Cancer Prevention If a woman takes control of the modifiable risk factors she can reduce the risk of being attacked by the disease to a great extent. Modifiable risk factors include healthy diet, physical activity, alcohol intake; maintenance of the body weight could have a strong impact on the reduction of breast cancer risk. Most of the women are unaware of the fact that these life style factors can have a strong impact on the risk of being attacked by this most common disease of the women world.